Version 16.0.0 (2015): Note: Now requires OS X 10.9 or later. Edit once, update everywhere with Linked Assets - Assets in Creative Cloud Libraries can now be linked so that when a change is made to an asset, you and your team members have the option of updating it across any Photoshop, Illustrator or InDesign projects where it’s used. Artboards for efficient design - Ideal for responsive and multi-screen design, artboards let you create multiple layouts in different sizes, lay them out within a single document and see them all at once. Copy and share content between artboards, and export them individually or several at a time. Find the perfect image or graphic, fast - The new Adobe Stock marketplace lets you find, license and manage royalty-free images and videos from right within Photoshop CC. Select from 40 million assets, save your selection to your Creative Cloud Libraries and then drag it into your project to use. 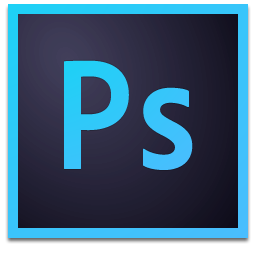 Streamlined and optimized experience for designers - A sleek new Photoshop CC experience that’s currently in development, Design Space (Preview) offers a designated mode with new interactions and design-focused features that reduce clicks, mouse movements and clutter for designers working on mobile apps and websites. Faster, easier image export - A redesigned exporting experience lets you export a single layer, artboard or entire document with one click. Plus, get better compression, advanced preview options that include canvas size and enhanced asset extraction. It’s a modernized Save for Web experience. Add more layer styles to get the look you want - Easily add up to 10 instances of select layer styles " including drop shadow, gradient overlay, color overlay, inner shadow and stroke " to a layer or layer group, and re-edit any style at any time. No more rasterizing effects or stacking in different layer groups. Be sure your Photoshop designs look good on iOS devices - Get precise, in-context, real-time previews of your mobile app and responsive web designs on actual iOS devices. Adobe Preview CC is a native iOS companion app that lets you seamlessly connect your devices to Photoshop over USB or Wi-Fi to view your designs as you work on them. Get more realistic blurs with additive noise - Add monochromatic or color noise to your Blur Gallery effects to better match your original image" and to reduce banding when viewing and printing. Heal and patch images faster than ever - The Healing Brush, Spot Healing Brush and Patch tools have been turbocharged with Mercury Graphics Engine enhancements. See your Healing Brush results in real time, and get Spot Healing Brush and Patch Tool results that are up to 120X faster than they were in CS6. Glyph panel for better access to glyphs in all your designs - Designed much like the Glyph panels in Illustrator CC and InDesign CC, the new Photoshop CC Glyph panel allows you to browse all the available glyphs in a font, view alternatives for currently selected glyphs and access commonly used glyphs. Move and extend objects with more control - Adjust the scale and rotation of the object you’re moving or the area you’re extending thanks to Content-Aware Move and Content-Aware Extend improvements. Precisely position your final object to match the scale and position of your image using Transform on Drop. Better panoramas with Content-Aware Fill - Check one box to have Content-Aware Fill automatically fill in the edges of your stitched panoramas. Adobe Camera Raw 9.1 enhancements - Remove or add atmospheric haze to your photos, and get more precise control over white and black levels when making local adjustments. Better viewing experience on Windows HiDPI displays - Photoshop CC for Windows now supports HiDPI screens, so you get more pixels and sharper image displays. Previously released as a technology preview, HiDPI support now turns on automatically when the app detects a HiDPI screen. Simplify complex 3D models - Easily reduce the resolution of 3D models to boost Photoshop performance and to extend the reach of your high-quality 3D content to tablets, smartphones and other devices. Automatically generate bump maps from images - Automatically generate more accurate bump/normal maps from textures in photographs. Also, easily control the height and depth of the emboss/deboss generated from the bump/normal maps you add to the surface of 3D models. Easily print your 3D content - Produce print-ready 3D PDF and SVX files, and submit print jobs to 3D Hubs from directly within Photoshop CC for quick and easy access to local 3D printing service providers. And so much more - Also includes: Improved behavior when moving layers; up to 80% reduction in energy usage when idling; updated pricing for 3D printing service providers; and more.